Inspired from the windows of Monte Carlo. 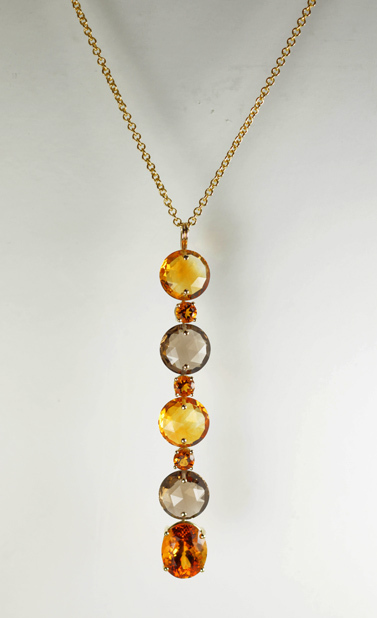 Golden warm sparkle –three inches of faceted citrine briolettes drops from an 18k gold chain. Small round citrines set between the briolettes and a large oval citrine and the end to a total length of 24”. Round faceted citrine and smoky quartz briolettes cut by August Mayer, master gemstone cutters, in Idar-Oberstein, Germany.